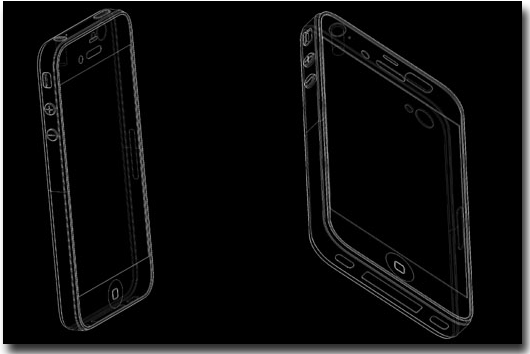 Contrary with all the previous iPhone 5 concept designs we’ve seen so far, including the rumors about 3D camera and display, and a popular liquid-metal concept, the recently emerged rumors suggest the next iPhone to follow the conventional form factor seen its predecessors- the iPhone 4 and 4S. This concept is strengthened with an argument that iPhone will find it easier to compete with Android with a larger screen. The rumors suggest that the device, which nobody seems sure what will be called, is reckoned to finally be breaking the small-screen mold and seems those using the Apples next smartphone will have more screen real estate to play with. 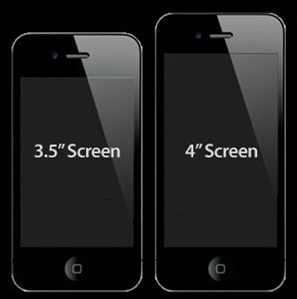 Despite being more conservative, the new iPhone is also said to be be longer and thinner than the iPhone 4S, with the measurement guesstimation of 125mm x 58.5mm x 7.4mm – meaning that the new device will be full 10mm longer than the current flagship 4S, as well as 2mm svelte. Importantly to the third-party app developers, the aspect ratio will also be changing as the pixels will be added to the top and the bottom of the current display. However the width will stay the same, but it still is a trouble for those who need to produce titles in different resolutions to support old and new. As for the smaller dock connector, expected to debut with a new iPhone, it’s said to be around half the size of the current one while also containing fewer pins…With all the Apple devices we’ve seen so far using a larger connector, the iPhone 5 and all the subsequent iDevices are said to be switching on a more compact one, just like micro Sims that save on internal space. Check out the images and do not hesitate to express your opinion on how credible this latest rumor seems to you.